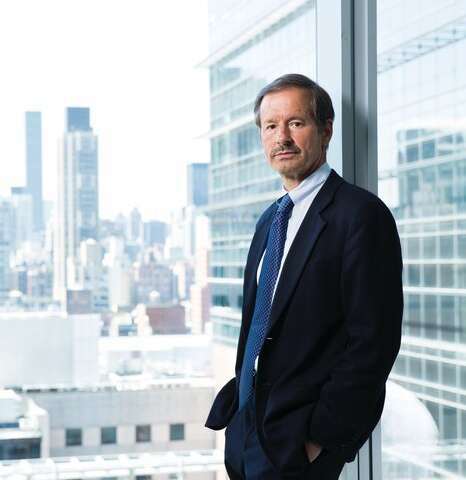 Dr. Lewis Cantley hasn't eaten sugar in decades. "I have a very simple rule," he says. "I eat fruit, but I don't eat anything that has sugar added to it. And I guarantee everybody would be better off if they ate zero sugar." Swearing off sugar may sound like a difficult proposition in a society where the sweet stuff—in Halloween candy or birthday cake, breakfast cereal or caramel macchiatos—is not only ubiquitous but central to our daily rituals and major celebrations. Indeed, according to the World Health Organization, the average American consumes 126 grams of sugar a day, more than people in any other country and nearly four times what nutritionists recommend. "It's an addiction," maintains Dr. Cantley, the Meyer Director of the Sandra and Edward Meyer Cancer Center at Weill Cornell Medicine, who was inspired to become a sugar teetotaler when he saw friends and relatives struggling with their weight in the '70s, at the dawn of the American obesity epidemic. "If I say to someone, 'Don't eat anything sweet for two days,' they'll look at me like, 'That's impossible, nobody can do that.' It's very much like an opioid addiction or an addiction to nicotine." And it's an addiction with consequences, Dr. Cantley notes. A diet high in sugar is a known risk factor for health problems including obesity and diabetes—a risk that reducing sugar intake seems to mitigate. But according to an accumulating body of research by Dr. Cantley and his team at Weill Cornell Medicine, excess sugar also helps many types of cancer to grow more rapidly. The findings have implications for cancer prevention, and they could help unlock the potential of new drugs to shrink and destroy tumors. An evolving understanding of how sugar feeds cancer may also lead to a new approach to treatment: alongside chemotherapy, radiation or surgery, a cancer patient could be prescribed a diet plan that might help those treatments work better. "We're beginning to conduct trials, but in the meantime the pre-clinical data is overwhelmingly supportive, and the retrospective data in patients is strong," says Dr. Cantley, also a professor of cancer biology in medicine at Weill Cornell Medicine. "As we learn more and more about cancer metabolism, we understand that individual cancers are addicted to particular things. In a lot of cancers, that's insulin—and sugar." Dr. Cantley was a professor at Tufts University School of Medicine in the '80s when he identified a previously unknown enzyme, phosphoinositide-3-kinase, or PI3K, that would turn out to be a sort of master switch for cancer. The protein's normal function is to alert cells to the presence of insulin, prompting them to pump in glucose, cells' metabolic fuel. This signaling pathway is crucial to cells' growth, proliferation and survival, so it makes sense that malfunctions can cause serious problems. If the pathway runs too slowly, the body becomes insulin-resistant and cells fail to take up enough glucose: this is Type II diabetes. In cancer, however, the pathway shifts into high gear, providing tumors with an overabundant supply of glucose, which drives their growth. It turned out that the gene that encodes PI3K is the most frequently mutated cancer-promoting gene in humans—and in the years since Dr. Cantley's revolutionary discovery, it has been implicated in as many as 80 percent of cancers, including those of the breast, brain and bladder. The pathway has also served as a target for new drugs, including the breakthrough lymphoma and leukemia drug idelalisib, which in 2014 became the first PI3K inhibitor to be approved by the FDA. Dr. Cantley came to Weill Cornell Medicine in 2012, his scientific reputation well-established; he has won a host of prestigious international awards, and his name comes up frequently when colleagues speculate about future Nobel laureates. Since setting up his lab at Weill Cornell Medicine, he has continued to investigate the role of PI3K. One of oncology's major frustrations is that some drugs that aim to inhibit PI3K have been less successful in clinical trials than originally hoped. Blocking the enzyme should impede the signals that allow cancer cells to take in the high levels of glucose they need to survive, but it doesn't always work that way. In many patients, PI3K inhibitors cause blood sugar to spike, suggesting that the drugs meant to starve tumors were telling the liver that the body itself was starving, too. In response, the liver—which stores extra glucose in the form of a compound called glycogen—was sending too much sugar into the blood, which triggered the pancreas to release excess insulin. Meanwhile, these patients' tumors continued to grow. Dr. Cantley and his colleagues wondered whether the excess insulin might be countering the effect of the drugs by reactivating the PI3K pathway in the cancer cells. They theorized that a diet very low in carbohydrates—limiting both sugar and starch, which breaks down into simple sugars in the body—would prevent spikes in blood sugar and might help the drug do its work, starving the tumor while the patient's body fueled itself with fat and protein instead, a state called ketosis. So researchers in Dr. Cantley's lab, including instructor in medicine Dr. Benjamin Hopkins, worked with colleagues at Columbia University Irving Medical Center and NewYork-Presbyterian to test the hypothesis. Using mice that had been genetically engineered to develop pancreatic, bladder, endometrial and breast cancers and treated with a new PI3K inhibitor (which is currently in clinical trials), they demonstrated that spikes of insulin did indeed reactivate the pathway in tumors, countering the anti-cancer effect of the drug. But when the researchers severely restricted the mice's carbohydrate intake, putting them on what's known as a ketogenic diet in addition to the medication, the tumors shrank. (Adding a diabetes drug meant to lower blood sugar levels also helped, but the effects of the diet in conjunction with the PI3K inhibitor were more dramatic.) The encouraging results were published in the journal Nature in July 2018 with Dr. Hopkins as lead author. "The mutations to the PI3K pathway that cause cancer also enhance the ability of insulin to activate the enzyme," Dr. Cantley explains. 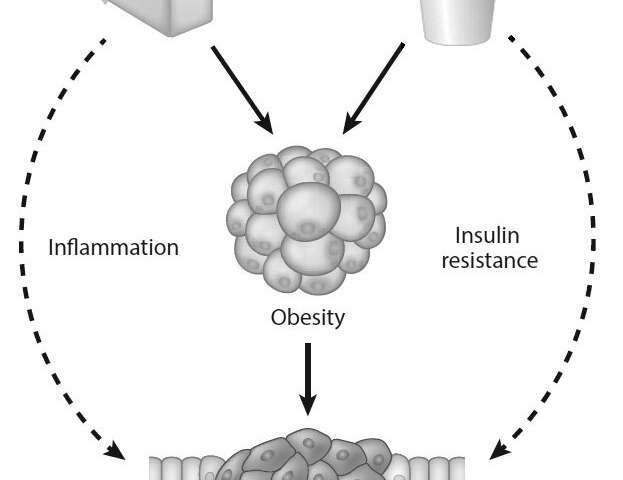 "Our preclinical research suggests that if somewhere in your body you have one of these PI3K mutations and you eat a lot of rapid-release carbohydrates, every time your insulin goes up, it will drive the growth of a tumor. The evidence really suggests that if you have cancer, the sugar you're eating may be making it grow faster." The Internet is full of diet advice, and among today's hottest fads is a low-carb regimen popularly known as "keto." It was the most Googled diet trend of 2018, a popular weight loss strategy among celebrities like reality TV star Kourtney Kardashian and basketball icon Lebron James, who sometimes refer to it as "paleo," for its supposed resemblance to the diets of our Paleolithic ancestors. But that's not what clinicians or researchers mean when they talk about a ketogenic diet, explains Dr. Katie Hootman, a registered dietician and director of the Metabolic Research Unit at Weill Cornell Medicine's Clinical and Translational Science Center (CTSC). "The diets on the internet tend to be way too high in protein," she says. "There is a pretty big difference between that and a clinical ketogenic diet, one that's actually intended to get the patient into ketosis." Ketosis, Dr. Hootman explains, is a state in which the body relies on the metabolism of fat as the primary fuel to meet energy demands, rather than glucose, cells' preferred source of energy. From the breakdown of fat, the liver circulates molecules called ketone bodies, which cells use as fuel until carbohydrates become abundant again. This metabolic process evolved to help mammals survive food shortages, but in a clinical context it has been used since the early 20th century to reduce seizures in people with epilepsy. A few studies in the late 20th and early 21st centuries suggested a ketogenic diet might also be helpful against some forms of cancer, but it is only recently that researchers have studied its usefulness in conjunction with anti-cancer drugs. Among the clearest evidence is the Dr. Cantley Lab's mouse study, which Dr. Hootman is now helping to translate to human patients. Dr. Marcus Goncalves, an assistant professor of medicine at Weill Cornell Medicine and an endocrinology fellow in the Cantley Lab, and Dr. Vicky Makker, a clinical investigator and gynecological medical oncologist at Memorial Sloan Kettering Cancer Center and an assistant professor of medicine at Weill Cornell Medicine, are working with Dr. Hootman and the CTSC to investigate whether a ketogenic diet reduces tumor growth in pre-surgical patients with endometrial cancer. "Endometrial cancer is one of the most insulin-sensitive tumors, and that's because over 90 percent of those tumors have some genetic alteration in PI3K signaling," says Dr. Goncalves, an endocrinologist. "Even a small amount of insulin will drive tumor growth." The diet Dr. Hootman and her team designed for the study derives about 85 percent of its calories from fat, 10 percent from protein and 5 percent from carbohydrates. That's a major change for anyone used to eating a typical American diet, in which as many as 65 percent of the calories come from carbs. 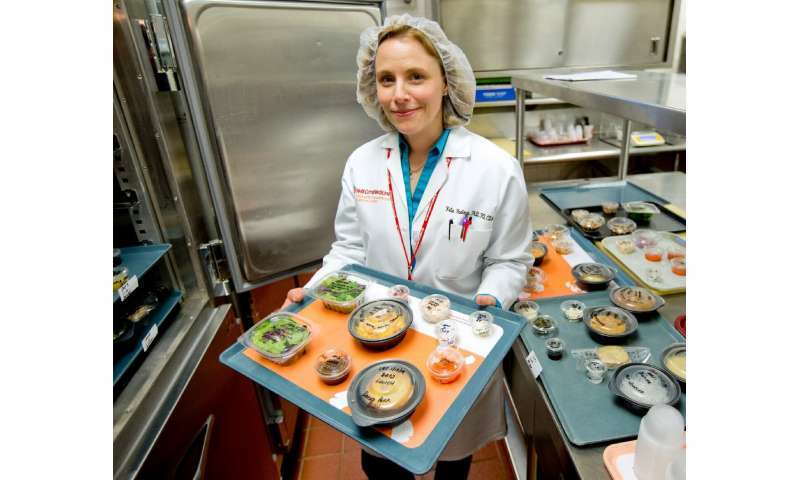 Recipes, including options like chicken stir fry and beef stroganoff, as well as nut flour-based bread and muffins, are developed, tested and prepared in the CTSC Metabolic Research Kitchen, with meals packaged in coolers for Memorial Sloan Kettering patients to pick up once a week. "We get as much fat as we can into the recipe—we use cream instead of skim milk, or add extra oil," Dr. Hootman says. "We try to make the foods seem like typical foods, so when the patients are consuming it, not only does it taste good and look good, but it's also similar to what the people they live with might be eating, just a high-fat version." And so far study participants have appreciated the culinary team's efforts, says Dr. Makker. "The food is delicious. They don't feel deprived. They don't feel hungry." The trial, which will ultimately enroll 30 women, was designed as a proof of concept. The researchers hope to show that patients are willing to eat this way, and that restricting carbohydrates will reduce insulin to levels that starve their tumors. Eventually, Dr. Goncalves says, cancer patients may routinely be treated with what he and his colleagues are already referring to as "precision nutrition," a diet tailored to the unique genetic profile of a patient's tumor. "Ultimately," he says, "we'd like to say, 'Okay, if you're receiving a certain type of cancer treatment, you should be on a diet that facilitates its effectiveness—it's just part of your therapy.'" Cautious optimism is de rigueur when speculating about future treatment for cancer—an incredibly complex and challenging disease—and Dr. Makker cautions that although the initial findings of a connection between nutrition and cancer are encouraging, "we need to learn more about what really happens at the blood serum and tissue levels. We're still investigating all of this." Nonetheless, Dr. Cantley and his colleagues are excited by the possibilities their recent work has opened up. One of the most common questions newly diagnosed patients ask of their clinicians is whether a change in diet might help them get well. Now, physicians can say they're looking for an answer. "You need to know the logic of the cancer in order to understand what would be the best dietary intervention for a given patient," Dr. Cantley says, explaining that what dietary changes a patient may need to make will depend on the genetics of his or her tumor. "Some cancers are addicted to sugar, but others depend on very high levels of the amino acids glutamine or serine, for example." Indeed, in 2017, researchers in the United Kingdom published a study in Nature that showed that limiting certain non-essential amino acids in the diets of mice slowed the growth of lymphoma and intestinal cancer. It was a strictly controlled regimen, and not one that patients would be encouraged to try for themselves—but like the Cantley Lab's work, it points to a day when a personalized diet may be just as important to cancer treatment as chemotherapy, radiation and surgery. As Dr. Makker notes, "so much about cancer is out of the patient's control"; while oncologists may be loathe to suggest burdensome lifestyle changes when patients are already reeling from their diagnosis, she says, "it could be wonderful if they feel like there is something that they can control—that through diet, they can participate in their treatment and potentially affect their long-term outcome." In the meantime, Dr. Cantley—ever the anti-sugar evangelist—adds that limiting sweets certainly couldn't hurt. Eating less sugar, he says, is clearly beneficial. "It'll help you in so many different ways, with so many different diseases," he says. "And once you don't have that addiction anymore, it's actually quite easy. After all, I've had no trouble doing it for 40 years."